EQuiPPE is an ERASMUS+ funded project designed to enhance the quality of P.E. in primary schools. Many primary teachers in Europe do not have specialist training in the delivery of physical education (P.E.). This has potentially negative implications for professional practice and young children’͛s health and physical activity habits. Project partners involved in the project include the University of Gloucestershire (UK), University of Thessaly (Greece), ROM-E Metis (Poland), University of Palacký (Czech Republic), and Transylvania University of Brașov (Romania). In Europe P.E. is taught both by generalists and specialist teachers in primary schools. Schools experience a number of challenges in providing high quality P.E. including finance and staff training. Many primary teachers are predominantly generalists rather than specialists and not trained specifically in the delivery of P.E. This has potentially negative implications for professional practice and young children’s health and physical activity habits in the short and long term. Central to P.E. is the concept of physical literacy which can be described as the ͚motivation, confidence, physical competence, knowledge and understanding to maintain physical activity throughout the life-course. Primary teachers play a critical role in developing physical literacy by providing experiences that enable pupils to develop motivation, confidence and physical competence. However, a lack of specific P.E. skills and confidence means that the quality of P.E. can vary widely. Supporting P.E. practitioners is essential to ensure that they possess the necessary knowledge, skills and understanding to deliver high quality P.E. Interventions to make teaching P.E. easier for generalists teachers have demonstrated positive outcomes on confidence to teach PE and its purpose. There are many resources available on a fee basis, and a wide range of information through the internet. The EQuiPPE project aims to provide free resources for those teaching P.E. in order to increase confidence to teach and the quality of P.E. 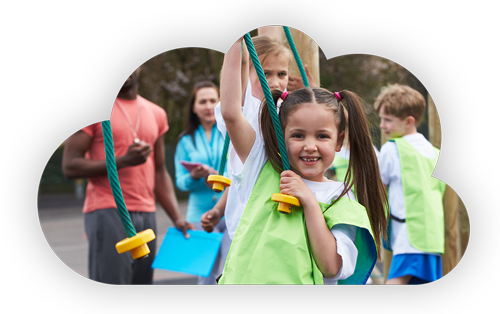 Physical education provides a learning gateway to develop the skills required for success in the 21st Century. Regular participation in quality physical education and other forms of physical activity can improve pupil academic achievement by increasing a child’s attention span, enhance their cognitive control and speed up their cognitive processing. Quality physical education is a platform for inclusion in wider society, particularly in terms of challenging stigma and overcoming stereotypes. Physical education is the entry-point for lifelong participation in physical activity. Globally, many of the major causes of death connect to non- communicable diseases (NCDs) associated with physical inactivity, such as obesity, heart disease, stroke, cancer, chronic respiratory disease, and diabetes. Indeed, between 6 and 10% of all deaths, from NCDs, can be attributed to physical inactivity.